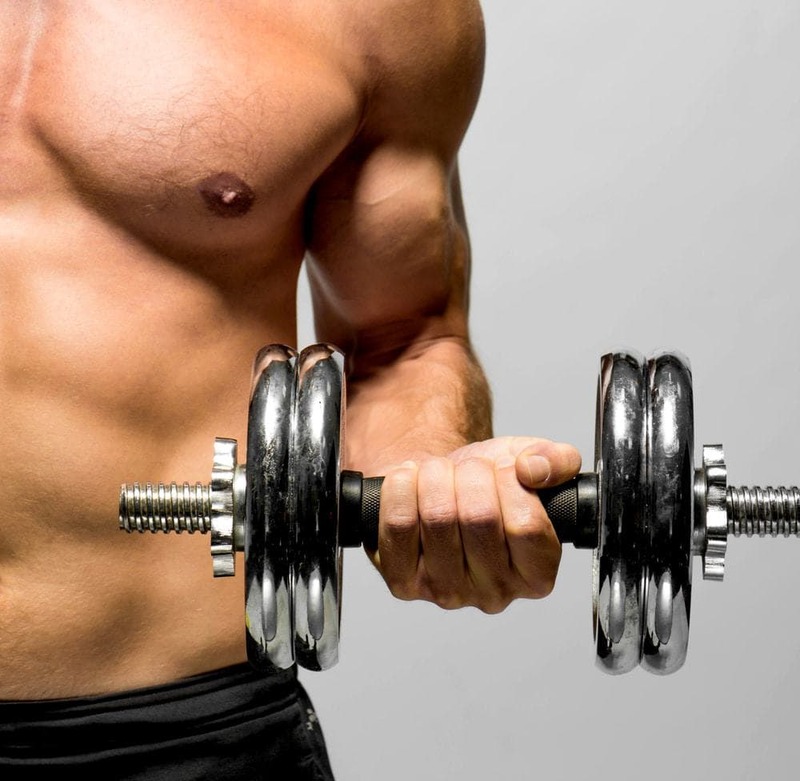 Forearm Workouts: How to Get Your Forearm Pumped - Vaxxen Labs, Inc. If your workouts are building your triceps but leaving your forearms weak, you’ll end up with skinny-looking arms and a poor grip. Better looking arms are a result of training the entire length of your arm. To make the best of your upper body workouts you’ll need forearm strength so you can hold greater weight and get more from your workouts. Training your forearms builds your grip strength, which you need to master the deadlift and the row, and for progressing faster in shoulder and chest pressing. Think of the forearm as calves of your arms. You can’t just ignore them! Here’s what you need to know about targeting your forearms. 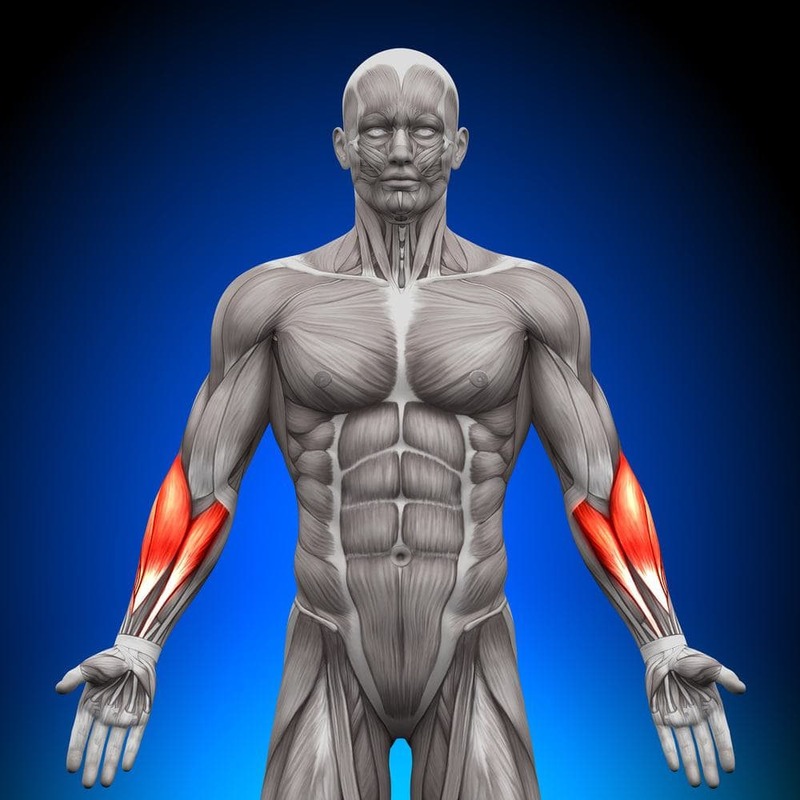 There are several small muscles within your forearm, divided into two types: flexors and extensors. Flexors handle the bending movement for your wrist and fingers and the pronation that allows your forearm to rotate with the palm facing down, while extensors handle the straightening movement and supination which allows the forearm to rotate with palm facing up. Flexors are skeletal in nature. They contract and bend a joint. This will decrease the angle on your limb like at your wrist. The extensor muscles will increase angle on your limb. Think of holding out your arms or extending to climb a ladder or tree. These muscles work conversely but without them both, we’d lose a large range of motion in our arms . For some people, training their chest, back, and biceps heavily is enough to also build strong forearms. For others, additional forearm exercises that specifically target the muscles in that area of the arm will be needed to get results. Increasing your grip strength will help you lift heavier weights overall, and therefore speed up the process of training your forearms, too . Eat foods that are loaded with protein and try to avoid anything that will lead to extra fat. 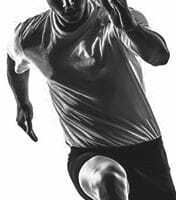 The fat will store energy and working out might burn the fat deposits rather than boosting the muscle gains. 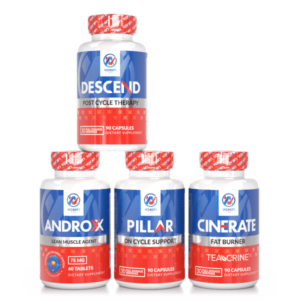 As with most exercise, there are supplements available to help you in your quest to mold your forearms. 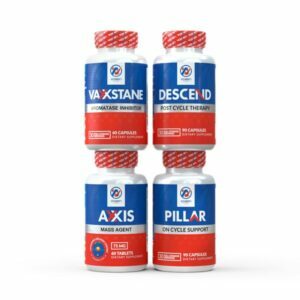 Chances are you’ve already read about them in one of our past articles and are taking some to benefit the other muscles of your body as well. If you’ve not done your research, please do. Most of the exercises we’ll share with you in this article will help you build larger forearm muscles. 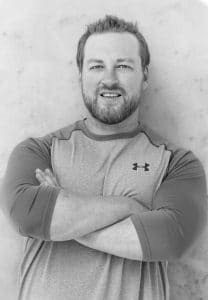 But for women and men who simply want to define their forearms and build strength without a lot of bulk, you may be more interested in toning than looking like Popeye. Toning is a wildly popular branch of exercise. Half of toning is removing unnecessary fat cells. 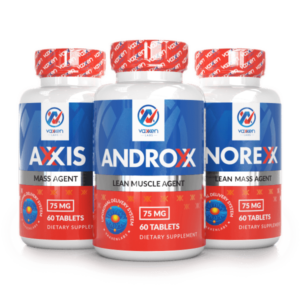 Feel free to reference earlier articles on the most effective ways to remove these pesky fat deposits. Once the fat is removed, and the elasticity of your skin is improved, toning is much more effective. Toning takes focus on the leanness of the body. Think of some of the slang words and terms you hear when it comes to people and their muscles. What do you think of what you hear “That guy is ripped!” You think of a big, bulky, muscular dude, right? What about “She’s got a really cut body!” In this case, ‘she’ is thought to have extreme muscle definition but doesn’t look like a cartoon cloud when ‘she’ flexes. Toning emphasizes your body’s musculature. Whether we’re talking about your forearms or your biceps, quads, or calves, it’s long been believed that the best way to tone-out your muscles is by decreasing the amount of weight you’re trying to use to work out and increasing the amount of reps. This practice is a lighter form of resistance training. There are a large variety of high-rep, low-weight resistance training exercises that you can do to simultaneously stimulate muscle growth and burn fat cells away, giving you that tone look you desire. You may find that you’re able to do dozens to hundreds of these without issue. If that’s the case, it’s safe to increase your weight size. Once you really start to feel your muscles weaken, stop. Do not over-stress them and cause unnecessary injury. WRIST CURLS. Wrist curls are probably the single most effective forearm toning exercise you can do . There are two common forms of wrist curls that you can practice at your gym. Barbell wrist curls are probably the more effective of the two because it ensures that you will be using both your dominant and weak arms simultaneously and almost equally. It might take you a little bit to figure out exactly what weight you need. Remember, it shouldn’t be very difficult at all. Repetition is key in this practice. Sit with your back straight on a chair or bench. Rest the back of your hands on your thighs/knees while holding the barbell. Bend your hands at the wrist and bring the bar toward your torso without picking your arms up off your lap. Do this slowly and gently until you can really feel the burn. Dumbbell wrist curls are very similar to the barbell wrist curls except you’re going to be doing just one forearm at a time. You will find that your dominant arm needs to take on more weight than your weak arm. That’s no big deal. The benefit to dumbbell wrist curls is that you don’t need much space. This is something you can do while sitting in your recliner and watching the news before bed at night! Just remember that the repetition is key and to stop when your forearm muscles are feeling weak. REVERSE GRIP CURLS. Reverse grip curls are not quite as effective as the wrist curls but they are a completely different type of workout. These are popular because they will also give other muscles some exercise, not just your forearms. For the barbell reverse grip curl, you grab the barbell as if you’re going to climb a ladder and stand up straight with the barbell down below your waste, arms loose. Bend your arms at the elbow until you make a 90 degree angle then slowly let the barbell drop back down. Repeat this until either your forearms or biceps feel weak and move on to something else. The dumbbell reverse grip curl is the very same thing but with just one arm at a time. Be sure you’re sitting or standing with your back against the wall or chair when you do the dumbbell reverse grips. This will ensure that you’re not leaning one way or the other, guaranteeing you’re getting the most of your workout. BAR HOLDING. Bar holding is another one of those exercises that benefits more than just your forearms although, usually your forearms will give in first. Be careful not to load much weight on the bar, this will be more difficult than it sounds. Take the barbell and hold it directly out in front of you at shoulder length with both arms completely outstretched in front of you. Hold this pose for as long as you can. You will feel it in your shoulder muscles as well as your biceps, triceps, and forearms. This will also serve as a mock-cardio workout as your heart rate should certainly increase if you’re doing the exercise correctly. Try it with your hands under the bar and above the bar. Do whatever is more comfortable to you. Arm circles are an exercise that you can literally do every day of the weak. You can grab almost anything to do them. It’s not rare for people to do these exercises in an office setting on break or lunch. Grab a couple of 24, 32, or 64 ounce bottles and fill them with sand or water. Hold one in each hand and put your hands down at your sides. Now raise both arms out like you’re on a crucifix. Start both arms in a small and slow circling motion. Again, you will feel the burn in not too much time and you’re working out a large variety of arm muscles. Do this for a minute clockwise and a minute counter-clockwise each day. Some people may actually prefer the Popeye look. Maybe not necessarily Popeye, since his only muscular physique is forearm related, but you might want to build muscle mass and not go for that super-lean and “cut” look. These exercises are for all the meatheads out there. The ones that really want to bulk up their personal temples, not just forearms. It’s important to understand that a lot of traditional exercises will bulk up your forearms as well as the rest of your upper body muscles. Regular curls are made to work out your biceps first but if you bend your wrists toward your chest while doing the curls, you’re going to be working out both parts of your arms. Doing both normal curls and wrist curls will ensure that you’ll gain the forearm muscle mass in no time. Pullups will be very similar to curls. The slower and steadier you do the pullups, the more you’re going to feel the burn. This will increase the blood flow to all the muscles in your body and since the entirety of your arms are doing the work, they’re going to get the most benefit – forearms included. Much like pullups, you’re going to see a benefit to a large variety of muscles. Using your body as a weight is a really healthy way to bulk up on muscle mass. Your triceps and forearms will both give up before any other muscle when you’re doing chin-ups. Remember… slow and steady. Hard to believe that this will work out your forearms but by bending your wrists just slightly, you’re going to make all the difference. Not only will you work out your abs, back, and quads, but by bending just slightly at the wrists, you’re ensuring that those forearms are taking on some of the load as well. It’s not going to feel great but you’re going to pack on the muscle mass. BURPEES/PUSHUPS. These buggers are the most well-known when it comes to “cardio” for gym-rats. I put cardio in quotes because it’s not true cardio but this is what body builders like to do to get their heartrate up while building that muscle. 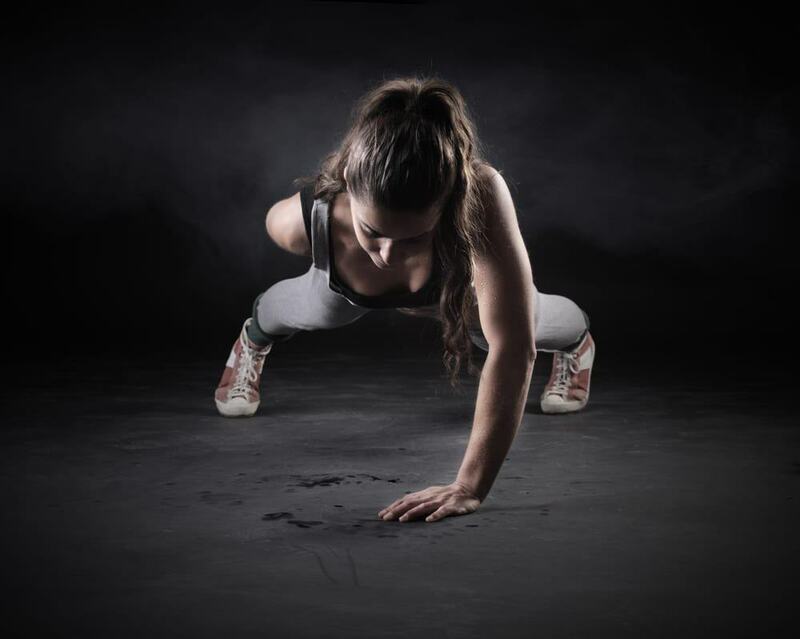 Doing burpees or pushups at a high rate of speed with work out almost every single muscle you’ve got . That obviously includes those forearms! Unless you’re a swimmer, rock climber, or boxer, you’ve probably never even thought about forearm endurance. The truth is, building up your forearm muscles isn’t going to be helpful at all if they’re not trained to use it. It’s important to simulate real-world stresses and forces on your forearms or they may turn to saggy skin sacks when you’re in your 60’s. Continuous low stress gripping exercises are the best way to boost the forearm endurance. On whatever bar you usually do pullups or chip ups on, hang with both arms. Now shake your body back and forth, side to side. Let go with one arm. Do the same thing. Switch arms. Keep switching back and forth every 15 seconds or so. Continue to move your body around. Keep your legs bent if you’d like to get more of a full body workout while you’re working up the endurance in your forearms and arm joints. Believe it or not, your fingers and forearms are directly related. They work together constantly. It’s important to work out the very muscular connection that exists between your fingers and forearms in order to improve the forearm endurance. Strengthening individual fingers, one at a time, will work out the forearm muscles controlling opposing movements. The most popular and easy finger exercise consists of taping your thumb to your index, then middle, then ring, then pinky fingers and back as fast as you can. 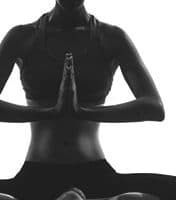 Do this over and over for as close to 5 minutes as you can. Like with any part of your body, without putting in the work needed, you won’t get the results that you want. Forearms are actually easier to sculpt than most of your other muscles, just because of the frequency in which we can use them. Remember to stay hydrated and to stop when you really start to feel the burn. Any injury can take you out of the game for weeks if not months, depending on the severity. Don’t scoff because “they’re just forearms.” Keep track of the different exercises that you’re doing on a daily and weekly basis. If your forearms seem to be falling behind but you’re running out of time to train, we suggest doing to easier forearm exercises while you’re sitting at the desk at work or watching the television. Consider doing some extra forearm exercises on leg days and massage the blood flow before and after. It doesn’t come easy for everybody but by following the techniques above, you should see results in no time! The Forearm: Anatomy of Muscle Compartments and Nerves. Boles CA1, Kannam S, Cardwell AB. AJR Am J Roentgenol. 2000 Jan;174(1):151-9. Hand Grip Exercise: Effect on Strength and Forearm Hypertrophy. RASCH PJ. Arch Phys Med Rehabil. 1963 Sep;44:507-10. 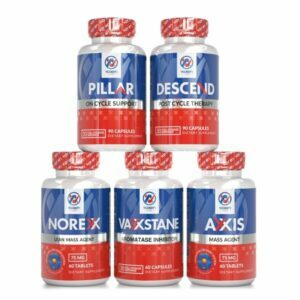 Older Muscle Building Supplements for Massive Muscle Growth!